PF30 is a variant of the BB30 design. The PF30 design uses BB30 size bearings preinstalled in bearing cups. The bearing and cup are pressed into the PF30 bottom bracket shell. 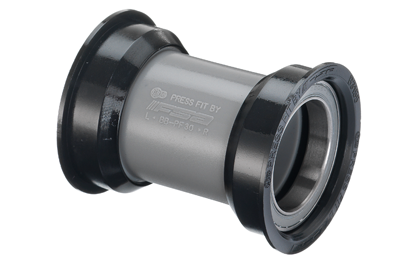 Because PF30 uses the same size bearing as a BB30, the cup material increases the bottom bracket shell to 46mm diameter. The PF30 system uses the same diameter spindle as BB30. Weighs 84 grams.